Millionaires aren’t just cheap people. They tend to be prudent with their money and make good, strategic long-term decisions that accumulate well over time. We understand the desire to have nice things and as advisors, we’re constantly bombarded by people asking can I afford this? But the real question is – what’s the long-term cost of splurges? And what are the benefits of skimping on splurges? One of the trickiest areas dealing with splurges is your home. We do recommend that you buy and own a home; however, residential real estate has only grown by 2% per year on average in the last 60 years. It’s unlikely many people will make a tremendous rate of return on the money in their home. Instead, find a home that best suits your family’s needs rather than their wants. Let’s not forget home improvements. Before you make big decisions about remodeling, be sure to take a long hard look at how that affects your long-term plan. One obvious splurge to avoid if your goal is to achieve a higher level of financial independence is that flashy car. This purchase is not an investment. As soon as you buy a new car, it goes down in value. What should you do instead? Our answer is always the same – buy a very high quality, gently used car that’s safe and reliable that you can drive for about 10 years. Avoid exceptionally extravagant vacations. Substitute those for more reasonably priced family activities. Families that vacation closer to home are just as happy, and over a lifetime, have a significant amount more than those who spent money on elaborate trips. Splurges should create a better quality of life at a very reasonable cost. For example, paying for a housekeeper or a meal service for your family. These will help your life feel full without being huge detractors from your wallet. 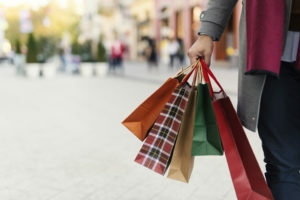 When you want to treat yourself, avoid paying full price at high-end retail stores and shop at outlets or discount warehouses. It’s amazing how much being wise with your money can add up. Just saving $250 a month over 30 years comes to $251,405 if your invested dollars grow at 6%. Or, spending $10,000 less on vacations over 30 years earning a 6% return, you’d have $838,016. If you spend $20,000 less on a car in that same period and get a new car every eight years instead of every three, first of all, you’re only buying four cars versus 10. Let’s assume the average price is $45,000 new, $30,000 used and every time you traded in your car, it was worth $15,000. Factoring all that together, you saved $444,668. Added up, these totals equal $1.5 million in aggregate savings, so following these steps and skimping on splurges could save you a lot over time.